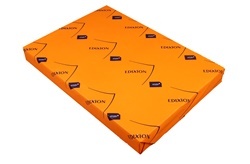 Edixion Offset A4 is an uncoated, quality offset paper with a consistently smooth surface and tactile finish. Multi-purpose offset paper with excellent opacity and formation with a smooth tactile finish. Multi-purpose offset board with excellent opacity and formation with a smooth tactile finish.